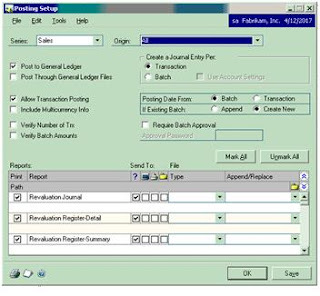 Whenever Post through GL in Posting Settings for subsidiary modules, General posting Journal will be printed when an entry is posted in subsidiary modules. 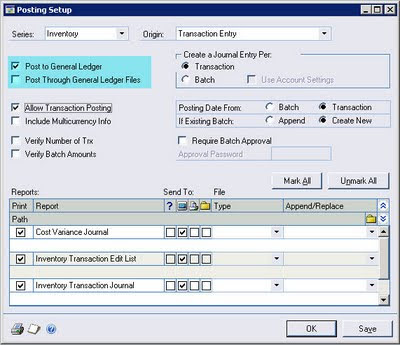 What if, we want to skip this General Posting Journal in subsidiary modules while retaining the ability to print the same for direct GL entries. 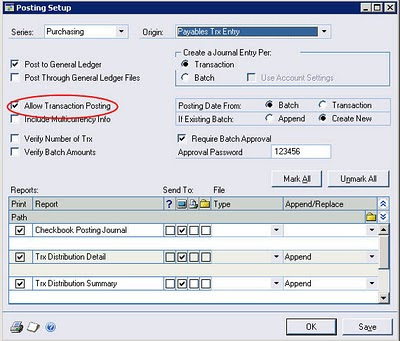 Mariano Gomez provides a smart solution (as always ) for the same using Report Writer. Veeyeskay has a nice look at Posting Levels in Dynamics GP.